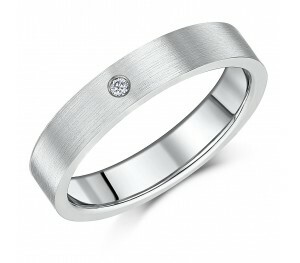 The classic wedding ring band in 5mm with a single set sparkling diamond. 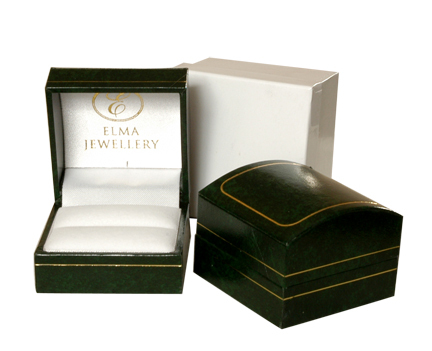 Rounded on the inside for extra comfort, this ring is uncompromising in its's beauty. 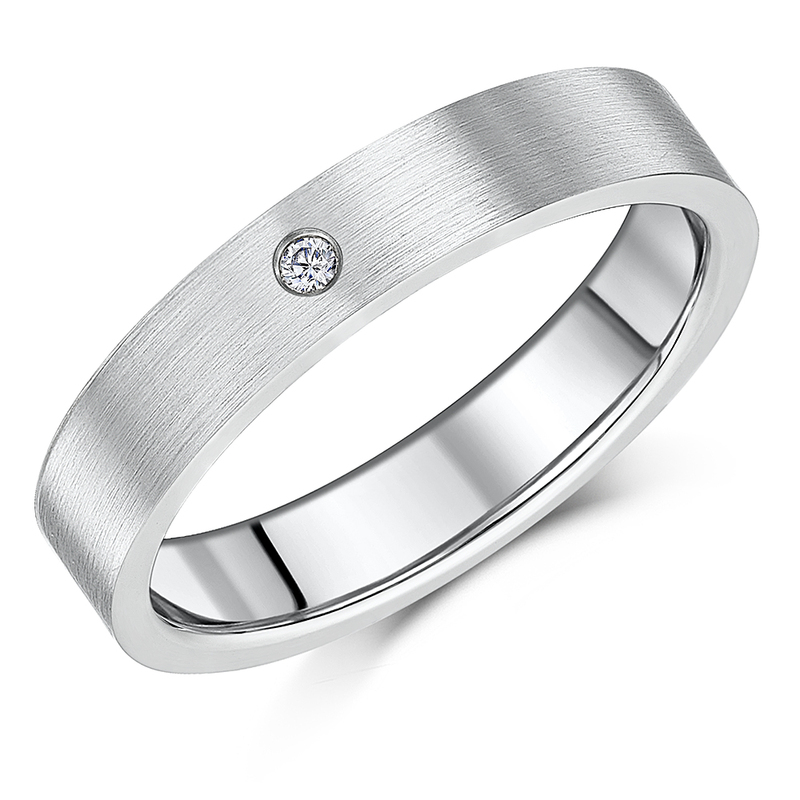 With an elegant band of brushed matt in 5mm width, it is set with a sparkling diamond, drawing the eye towards the centre of this elegant ring.Perfect for your most special day.